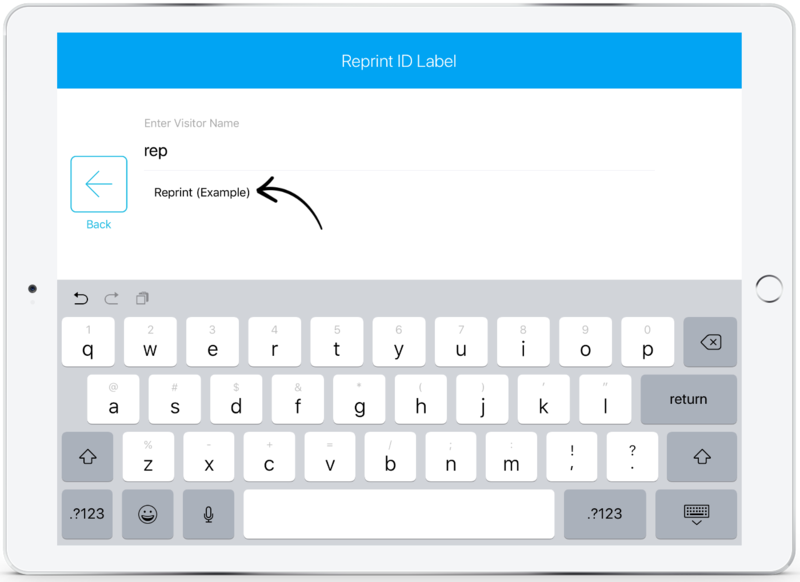 If an ID label needs to be reprinted, this can be done via the SwipedOn iPad application. Triple tap on the SwipedOn logo in the top left corner of the SwipedOn app on the iPad. 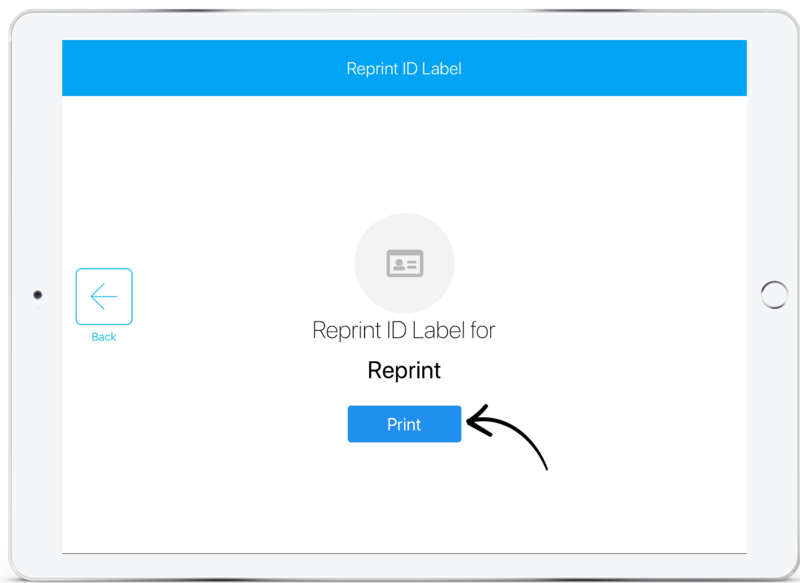 Tap on the 'Reprint ID Label'. 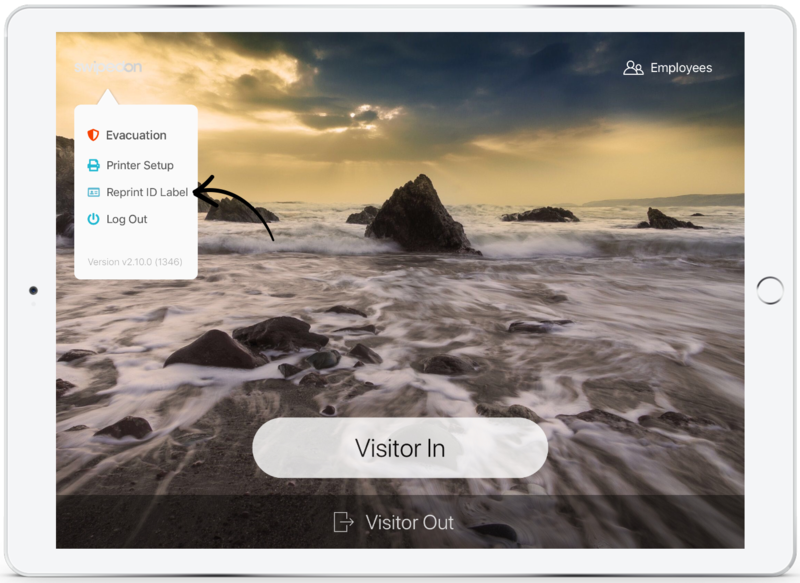 Type in the visitor name. 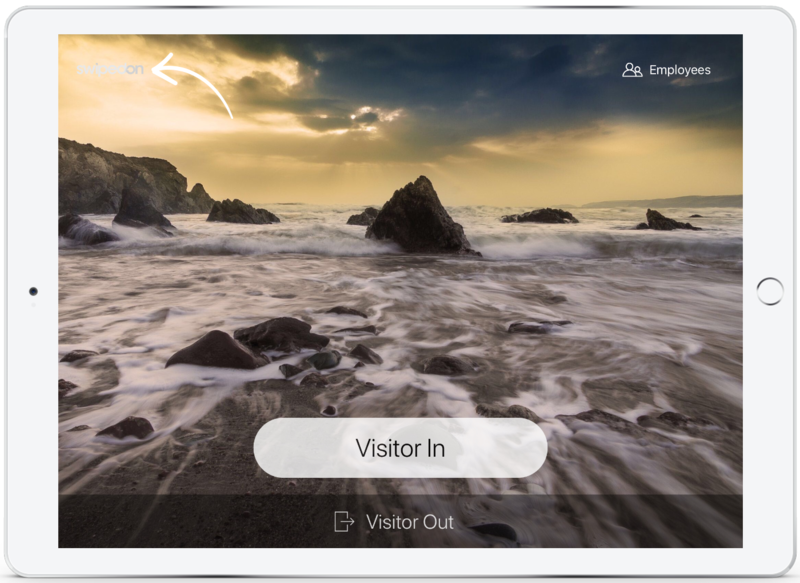 Tap on the visitors name, then the below screen will appear. Tap on 'Print' and you are good to go!